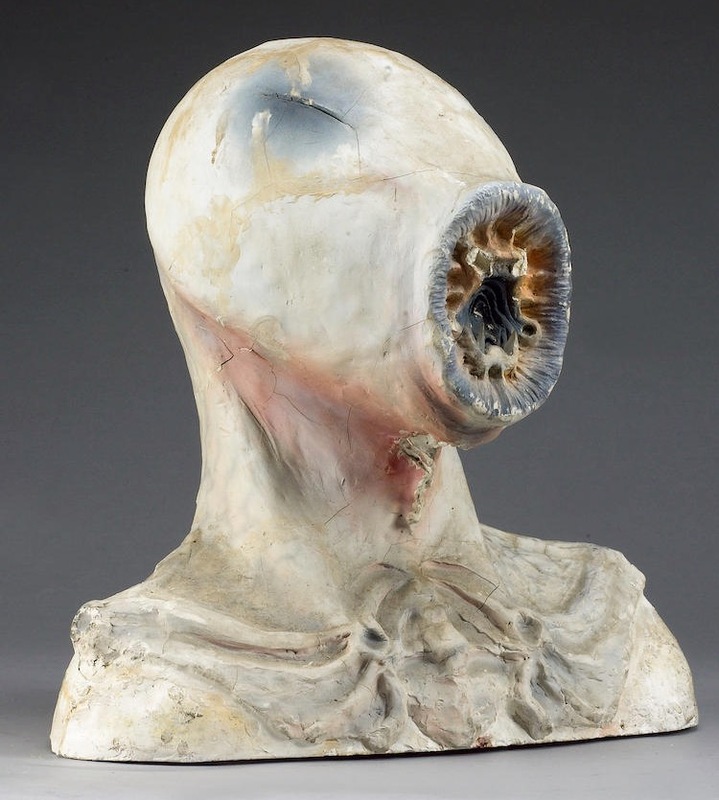 A HAEMOVORE head from the The Curse Of Fenric 1989 episode starring Sylvester McCoy. 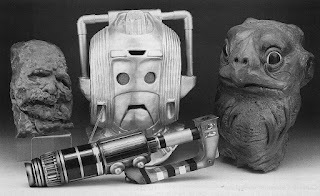 A completereplica Nemesis Cyberman costume, comprising of a silver jumpsuit, breast/ shoulder plate, head and padded gloves. 1987 (Sylvester McCoy)A Tetrap’s gun (the Tetraps were four-eyed monstrous creatures). 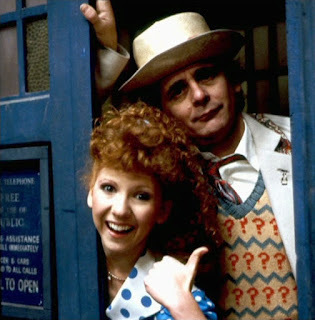 1987 (Sylvester McCoy) A camera script and caretaker’s hat. 1987 (Sylvester McCoy) A Chimeron baby. 1987 (Sylvester McCoy) One of the many nitro nine canisters featured in this storyline. 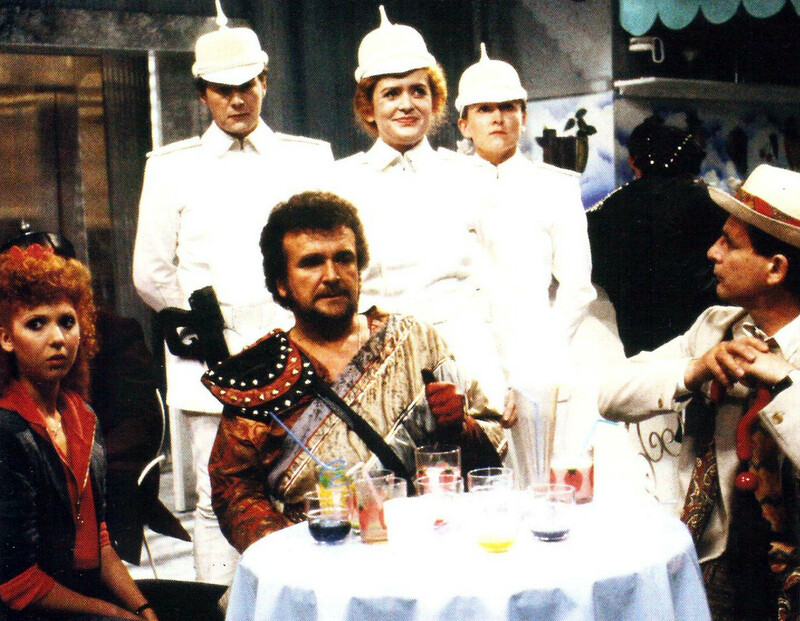 1988 (Sylvester McCoy) A beige Happiness Patroller costume. 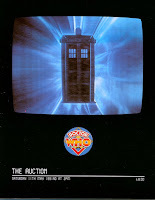 1988 (Sylvester McCoy) A camera script. A ‘Nemesis’ style Cyberman helmet, in chrome plated finish. 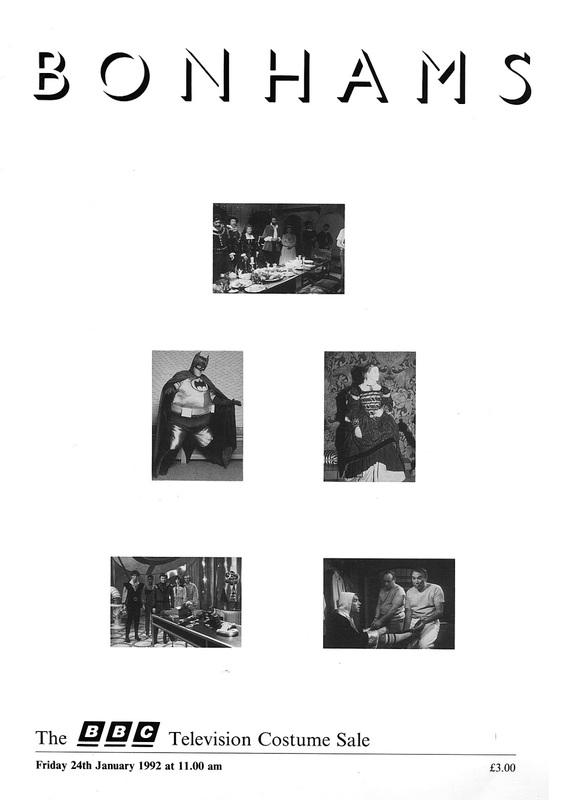 1989 (Sylvester McCoy) A studio script and studio plan showing set and camera positions. 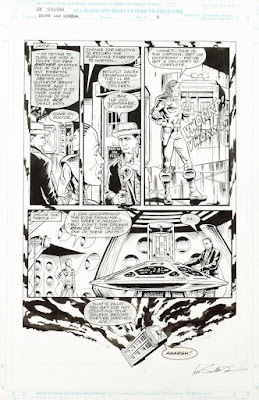 (Jon Pertwee) Original clear pen and ink artwork for TV Action, framed and glazed, 17 x 26in. 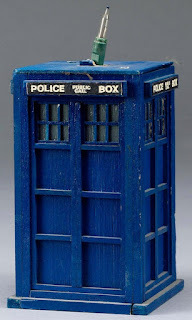 Looks like we have a new item that’s been sent to the Doctor Who breaker’s yard! 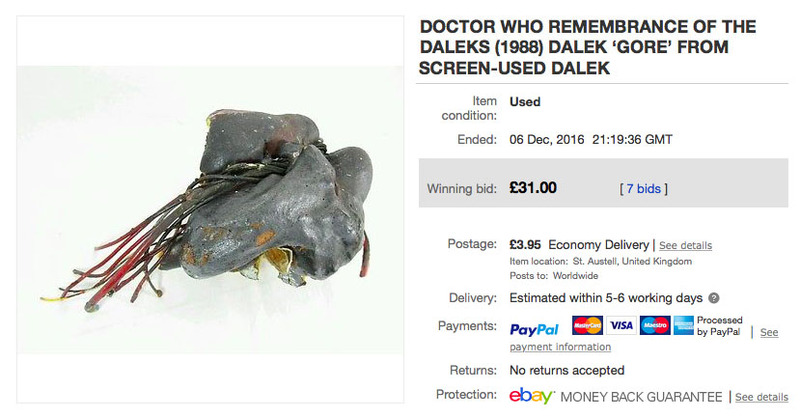 These pieces come from a destroyed Dalek base that appeared in a number of Bonhams auctions a few years ago. 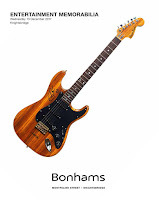 Initially, at the Bonhams auction - 23rd June 2010 it was attributed as made for exhibition purposes, and sold for £720. 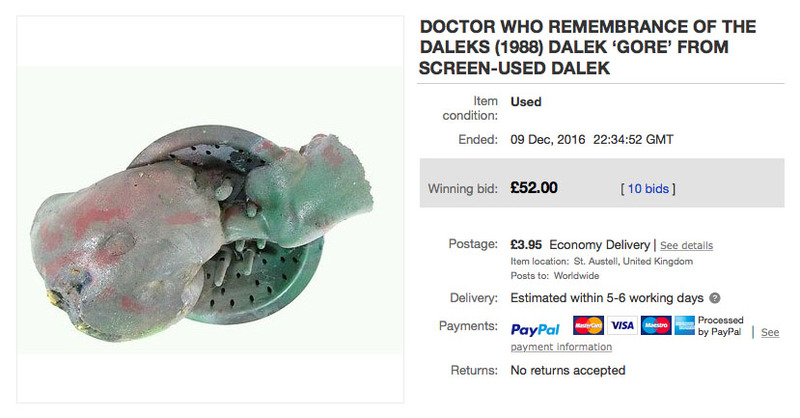 I wondered if it was from Resurrection Of The Daleks, hence I filed it under my Fifth Doctor blog. 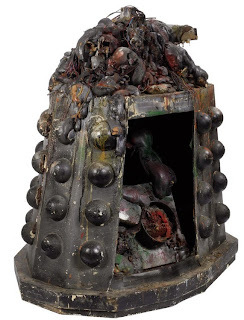 By Bonhams auction - 18th December 2013 it had been identified as being the remains of a Dalek seen in the Totter’s Lane junk yard for scenes in Remembrance Of The Daleks. 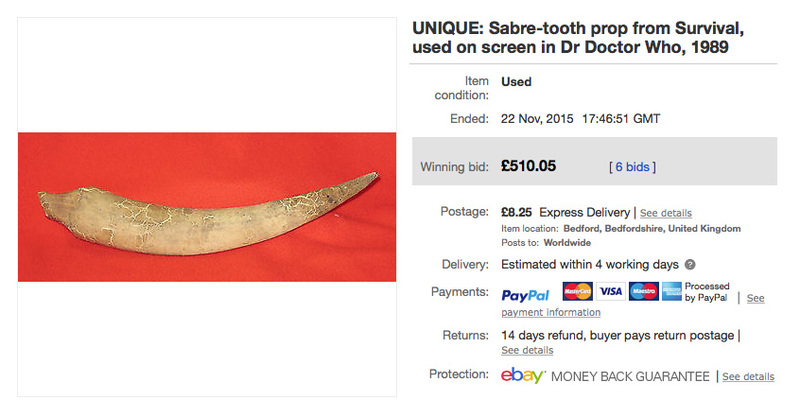 With a reserve of up to £5,000, it went unsold. Now pieces of this Dalek are appearing on eBay. 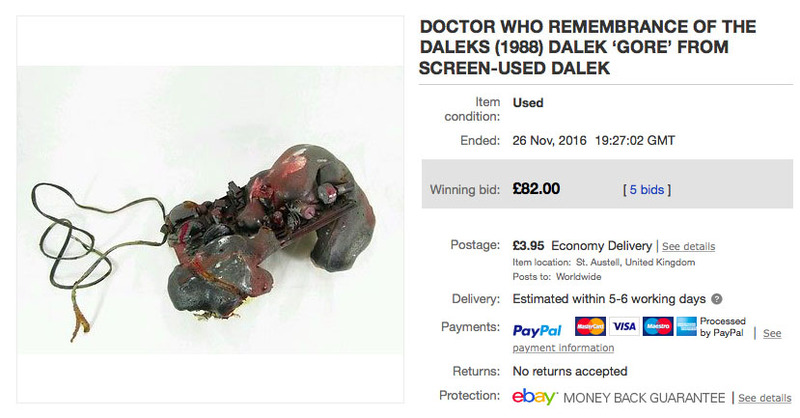 A piece of Dalek Gore taken from a original screen-used Dalek. The Dalek is the first to be destroyed in the junkyard scene in the "Remembrance Of The Daleks" story, and has been screen matched to this. Gore measures approximately 11 inches x 7 1/2 inches. In my photos shows the original screen-used dalek from which the Gore came from. Please see photos with red circle to identify your piece. The Dalek skirt section was seen at various exhibitions after the broadcast including Longleat, Dapol and Blackpool. Gore measures approximately 8 inches x 7 inches. 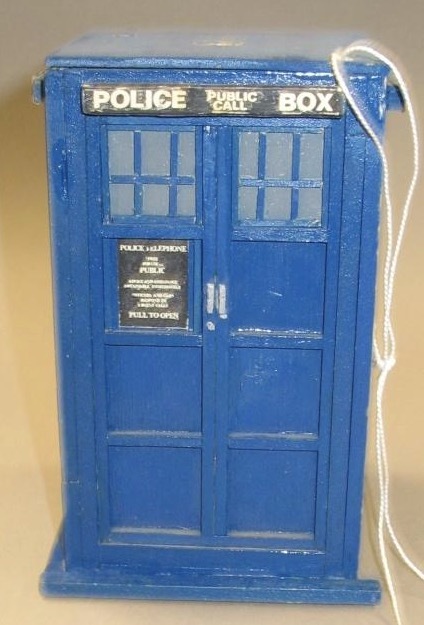 Lot 4013 - Doctor Who - a fruit machine. 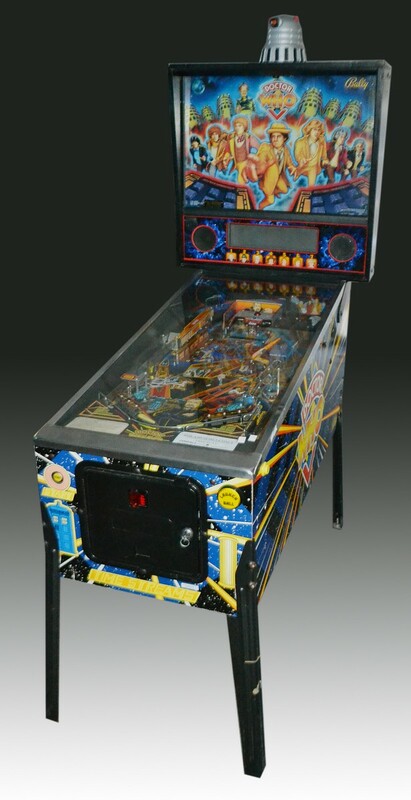 Lot 4015 - Doctor Who - a pinball machine. 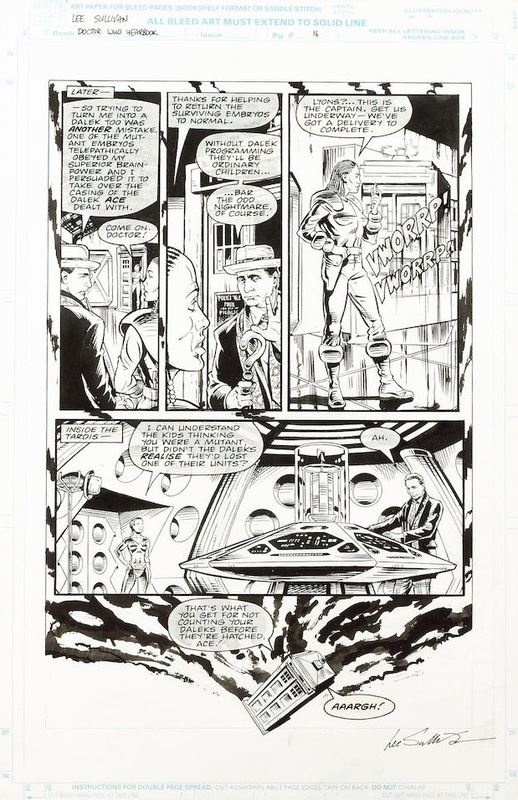 From the Dr. Who Yearbook circa 1988-89 original pen and ink art black and white signed by Lee Sullivan. Framed and Glazed. 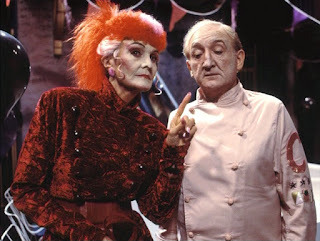 John Nathan-Turner started his association with Doctor Who as a floor assistant in season six on "The Space Pirates" and continued his association gaining promotions until he was producer on the series in 1979 until the series took a sabbatical in 1990. He was famed for collecting and wearing Hawaiian shirts throughout his life on and off set. 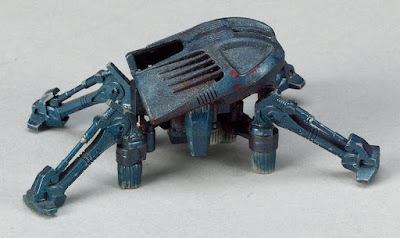 Transformer type toy used by Sylvester McCoy as the Doctor in the episode Battlefield. A valuable Moneybug. Oh dear - another bit has dropped of a Tetrap somewhere. Still, there’s always eBay! 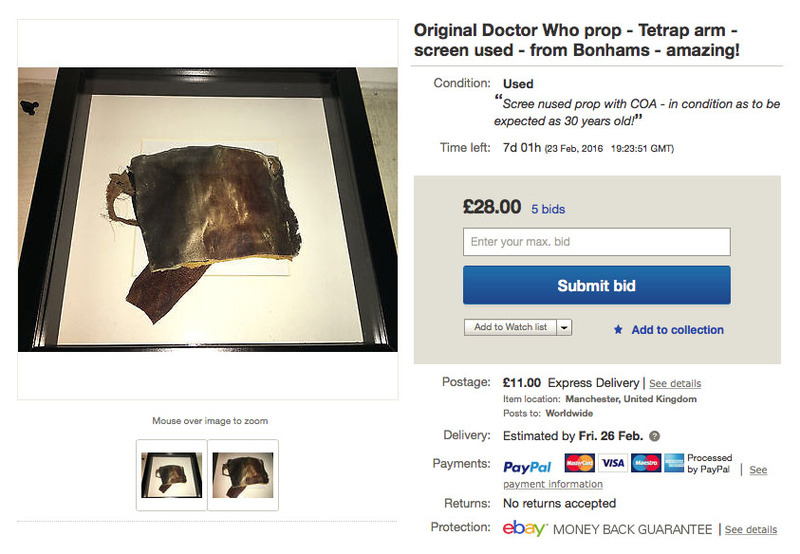 Original Doctor Who prop - Tetrap arm - screen used - from Bonhams - amazing! 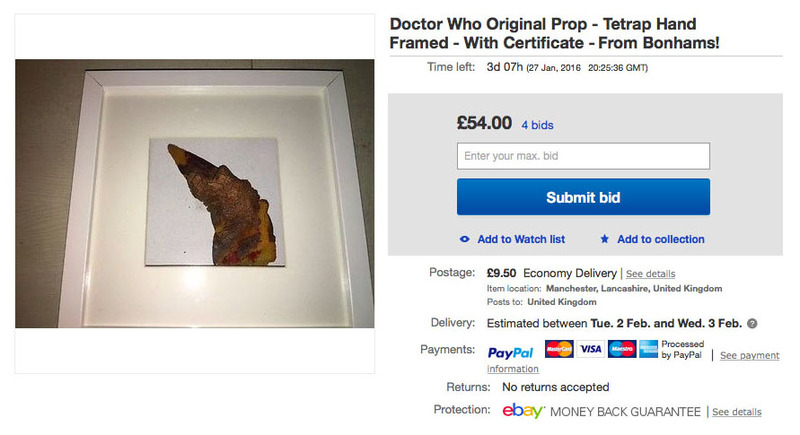 This is an unbelievable piece for all Dr Who fans. Any props from the original series of Dr Who are rare, but a piece of the doctor's costume is astounding! 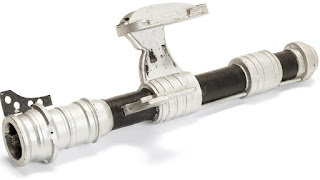 This is an original dr who screen used monster prop / costume piece from the first Sylvester McCoy story in season 24 "Time and the Rani"
I have seen and sold a couple of smaller items, pieces of fur, digits, but this is the whole forearm of a screen used Rani. 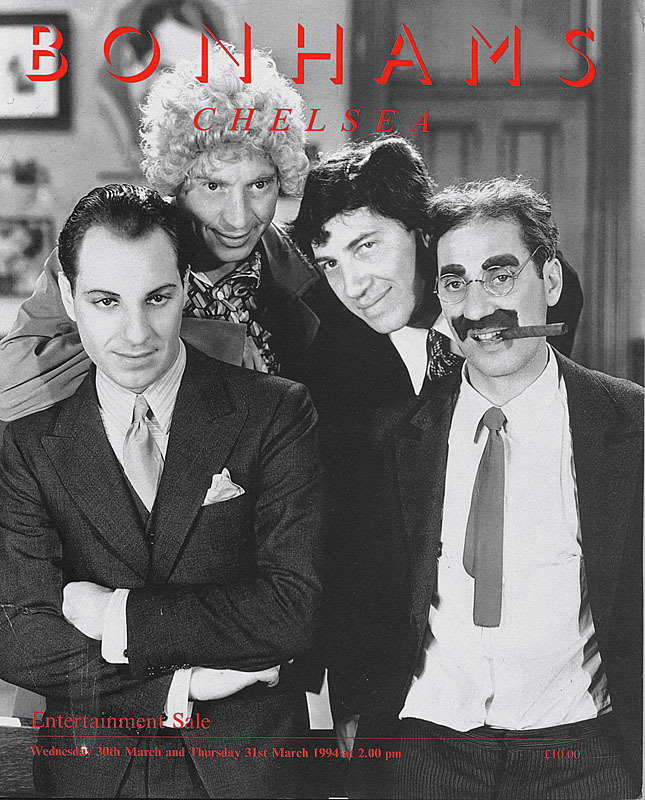 As only 3 full costumes were made and only one survives in full, this is an amazing piece. This is a once in a lifetime opportunity and is brought to you with no reserve. The piece is presented in a 3D display box frame and comes with a certifcate of authenticity confirming its purchase from bonhams. Lot 690 ‘Dragonﬁre’, 1987 (Sylvester McCoy) Two spiked uniform helmets, in Teutonic style. Lot 691 ‘Delta and the Bannermen’, 1987 (Colin Baker) Two white oversuits, one Worn by Delta (Belinda Mayne), and one undersuit. Lot 692 ‘Happiness Patrol’, 1988 (Sylvester McCoy) Five Drone masks. 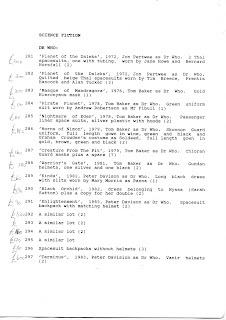 Lot 693 ‘Ghostlight’, 1989 (Sylvester McCoy) John Nathan-Turner’s running order sheets for episodes 1 and 3. Lot 694 ‘Survival’, 1989 (Sylvester McCoy) A copy of the script for episode 3, the ﬁnal episode of Dr. Who. Lot 695 The pocket watch worn by Sylvester McCoy during his time as Dr. Who. 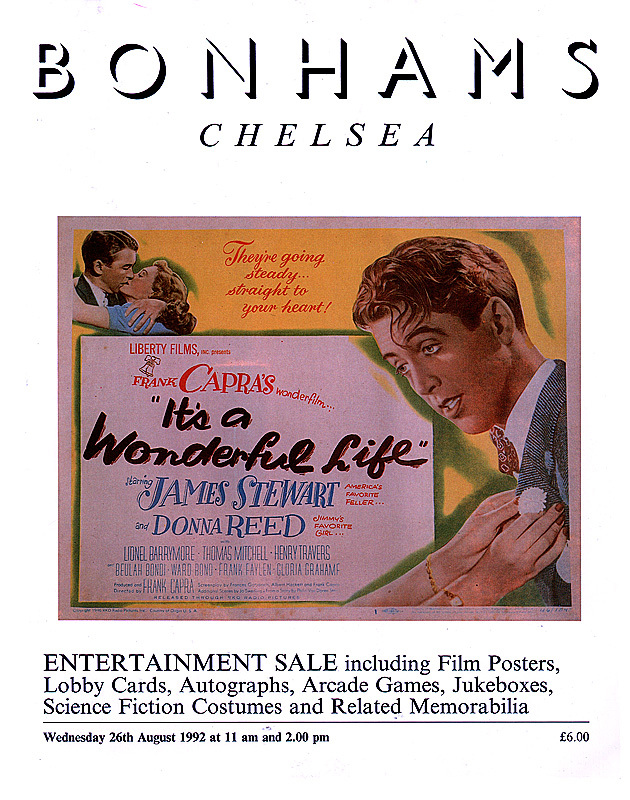 Exactly 24 years ago TODAY there was an unusual auction at Bonhams to sell off a vast amount of ex-BBC costume department items. 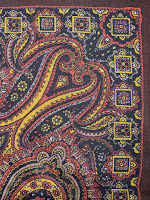 Due to the volume of items on offer, the sale was held at the BBC Costume Warehouse, which at the time was on the Royal London Industrial Estate in North Acton. Most of the sale was non-descript items, broken down into sections such as PERIOD COSTUMES - GREEK/ROMAN, MEDIAEVAL, TUDOR, ELIZABETHAN, STUART, GEORGIAN and REGENCY, VICTORIAN and EDWARDIAN etc. 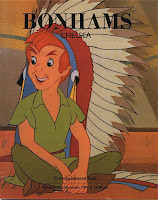 It then moved on to SPORTSWEAR and MISCELLANEOUS before CHILDRENS and LIGHT ENTERTAINMENT. 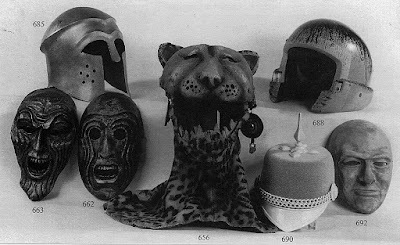 There was even a section for FANCY DRESS and ARMOUR, CHAINMAIL ETC. Then things got more interesting with NARNIA prior to the big draw the sale - the SCIENCE FICTION section. 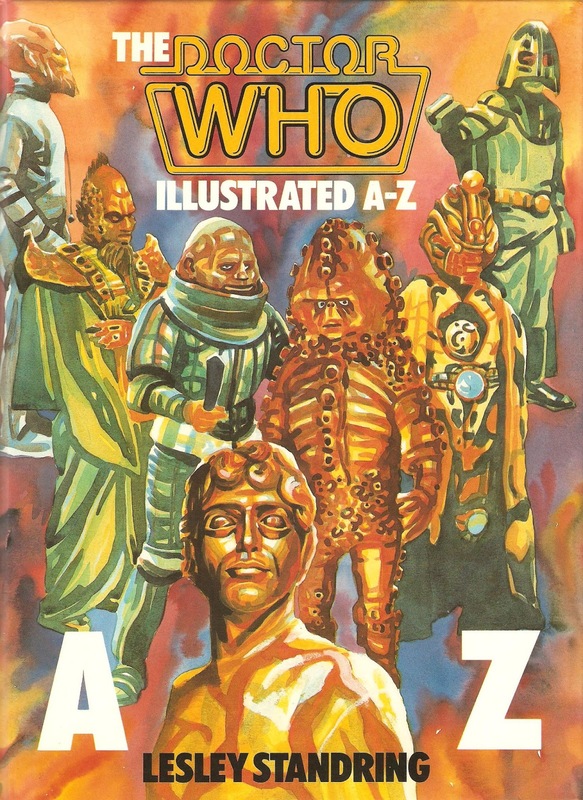 This was broken down into DR WHO, BLAKE’S 7, THE FLIP SIDE OF DOMINICK HYDE, STAR COPS, and OTHER SCIENCE FICTION COSTUMES. 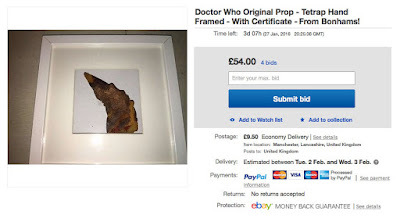 The sale closed with a section of late additions, which included an extra Doctor Who lot. 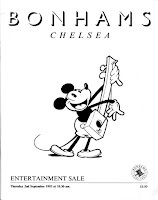 I recently picked up a copy of the sales catalogue on aBay - such as it is. 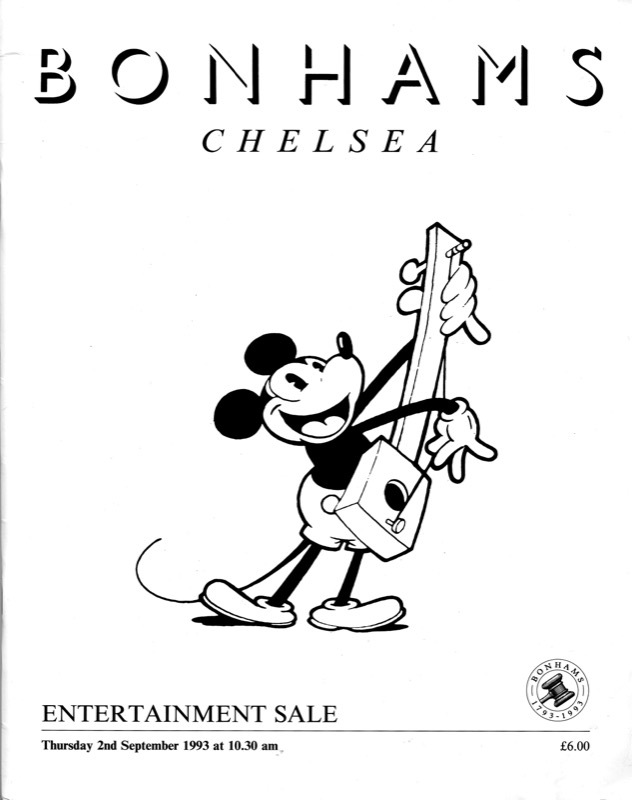 Back in 1992 this consisted of a pocket folder with a stapled loose sheet listing of the items for sale. 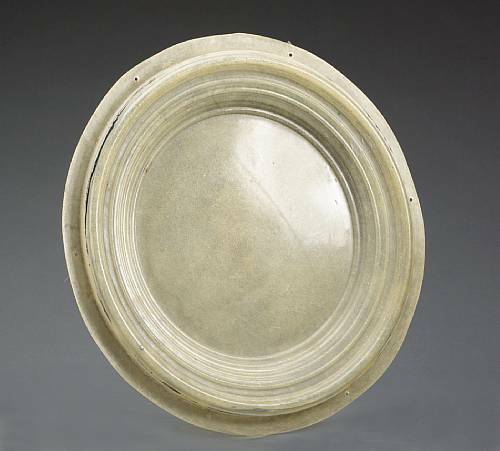 There are no photographs or illustrations, and the descriptions are scant to say the least. 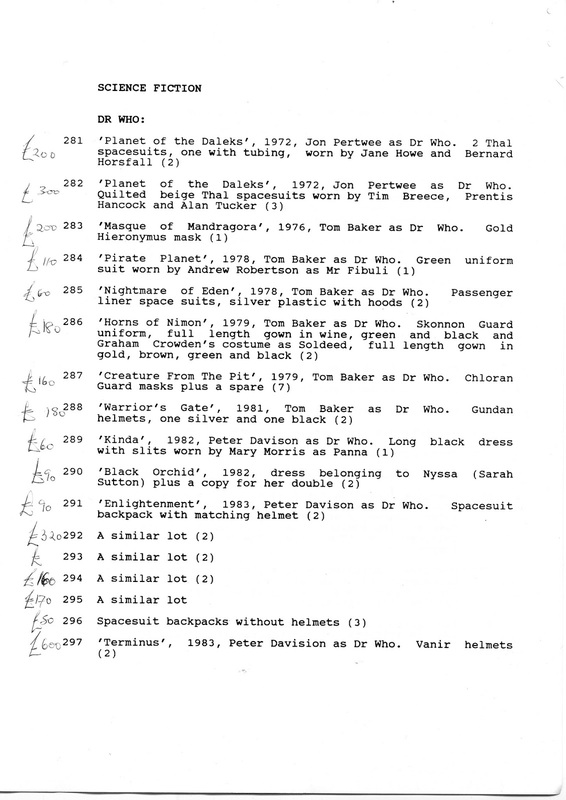 I have transcribed all the Doctor Who items. Lot 311 Dragonfire, 1987, Sylvester McCoy as Dr Who. Lot 312 Very old space suit used in Dr Who. Lot 313 Full length cream and ochre linen gowns with hoods. I see some loose bits have dropped off the original Tetrap costume again. There were just three of these tetrap costumes made for the 1987 story 'time and the rani'. As with many costumes of the day, they have deteriorated. 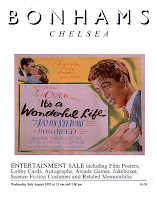 This is from one of these original screen used costumes sold in the famous bonhams auction. I have seen small pieces of tetrap skin sell for £50-100 over the years on ebay but never such a large piece - this digit is in great condition and has been framed in a box frame - only three digits and I am keeping one! 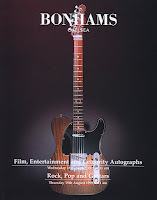 It is supplied with a copy of the letter of authenticity and is s once in a lifetime auction! Looks like another bit has dropped off a Tetrap! 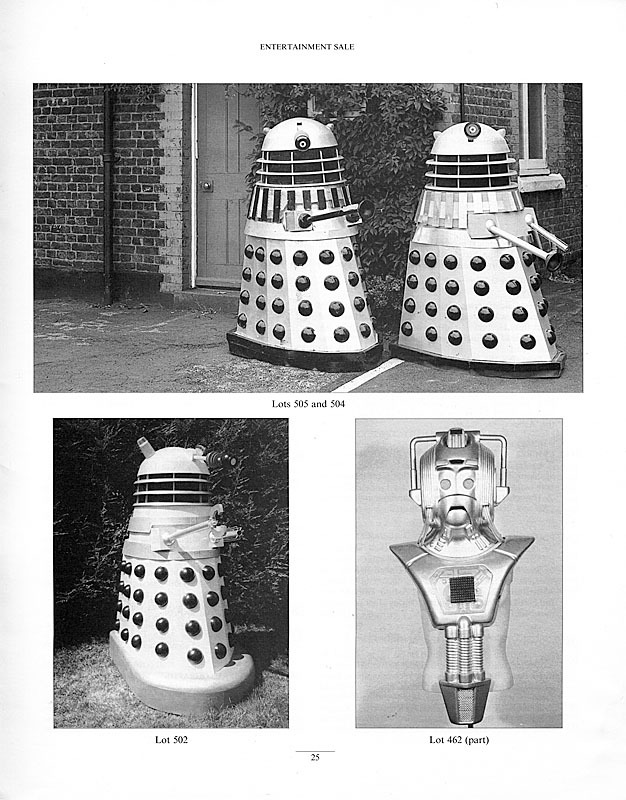 There were just three of these tetrap costumes made for the 1987 story Time And The Rani. 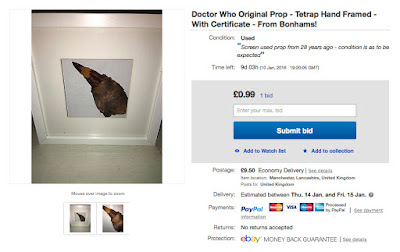 I have seen small pieces of tetrap skin sell for £50-100 over the years on ebay but never such a large piece - this digit is in great condition and has been framed in a box frame. This is a prop sabre-tooth knife, used by Mitch in Survival, the final story of classic Doctor Who, in 1989. 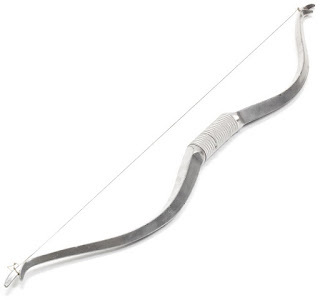 It's a lightweight version, as it had to be used as a weapon that wouldn't hurt anyone. It is the prop that appeared on screen. 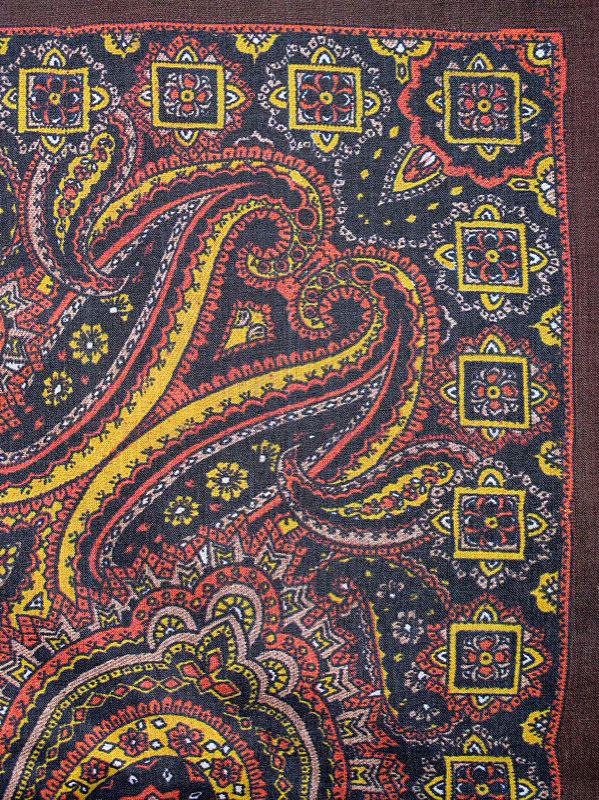 It's in excellent condition; it's about 30 cm / 1 foot long. 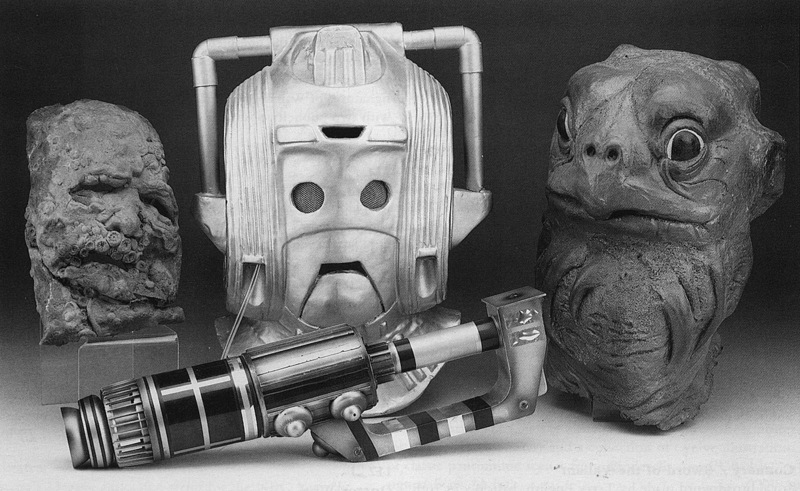 It's been donated to us by Mike Tucker, the BAFTA award winning special effects designer, who's worked on Doctor Who since the 1980s. We're extremely grateful to Mr Tucker for his most generous gift.